The new Wally LT Rock's!!! there is a demo on next sat at bribie. Ring Caloundra wind and surf for details. I think that level of organisation is beyond my energy level but maybe again one day. it's interesting how many second hand one designs have recently hit the market. Windsurfjournal.com : How was born the concept of the Windsurfer LT and what was the development process ? Bruce Wylie : The original idea and thinking was to develop a board that could cover all 3 elements (SUP, Beginner, One Design). This idea came to me during the year of 2016. Later in 2016 we had contact from Windsurfer Italy to make a lighter version of the current Windsurfer Shape, so I decided to use this as the opportunity. The first prototype was made in September 2016, And further Prototypes were made until June of 2017, All prototypes were tested in Pattaya with fellow Cobra Manager, Riccardo Giordano - a 3 x times Olympic Competitor in Windsurfing from Italy. In January, 2017, during the 40th Australian Championship, I had a meeting with Representatives of the Windsurfer Class from Australia and Italy and shared details of the project we were working on at Cobra. At that time we were testing Prototype number 3 which was demonstrating a lot of promise. I asked them if they would be interested to use this board in development as an upgrade for the Current Windsurfer One Design where they were struggling to maintain effective production of the board. The immediate response was a Yes on the basis that the board was usable with the current Windsurfer Class Rigs, and also that the same board will be offered to other Windsurfing Brands in the Industry with a plan to increase participation in the sport of Windsurfing again. WJ : 50 years after the first Windsurfer, do you think there is really a market for this product and if so, why ? BW : Yes we do feel there is a market for such a board and the first feedback we have from all markets is very positive as this is just what the sport needs. A true family multi use board that is truly effective for the 3 functions it is designed for - SUP, Beginner and One Design. WJ : What will be the price of the complete Windsurfer LT and how will the distribution be organized in each country ? BW : We are offering the board and rig to the Windsurfer Class, and to other Cobra customers at the same Ex Factory prices. We will not know exactly how each Brand will manage their proposed Retail Price levels, but all are trying to bring this project to the market at attractive price levels to support the project with trying to rebuild the participation in the sport of Windsurfing. The boards will become available around the world via Windsurfer Class Distributors, or through the normal distribution channels of other Windsurfing Brands. If their aim is mass market and simple fun, not performance, why didn't they go inflatable? Given that inflatable SUPS in the big wide 'world' are the No 1 seller by a 'mile' you would have thought they might have cottoned onto that, 3+ meters is a bloody big thing, to store and transport , v;s fold up into the back of any car. The mass market have jumped on kites and inflatables partly because of the compactness. Performance isn't a barrier any longer as the inflatables have hit 35knts can do jumps etc , price may have not have been as cheap, but seems like they have missed and opportunity, especially if you wanted to have WOD racing meets anywhere in the world where everyone can attend, can't image a WOD getting through the baggage counter too well . As someone who has the Naish inflatable and a Wally and like them both I still think the aim was to keep the feeling of the original windsurfer which has many devotees. The inflatable is great but I don't think there will ever be an inflatable race class, upwind performance being one area where they struggle. Given that most racing takes place from yacht clubs storage and transport are not such a big issue. Given the numbers of available boards, getting ones to charter at overseas regattas isn't normally an issue. Also many of us would rather just chuck a board in a club rack or on the roof than pump one up. I'm actually looking into inflatables at the moment and trying to choose a longboard as well as a shortboard to use from the yacht. They're really interesting for that application but I don't know anyone who finds storing a One Design to be a big issue. Also while One Designers are into simplicity we also like "feel", and while some inflatable shortboards look damn good, one imagines that it may be a different story if you're looking at a 12 footer where you sail upwind with the board railing and a lot of power driven into the centreboard. We were told years ago that no one would buy 12ft rigid boards anymore - then SUPs arrived and along with plastic kayaks, proved that hundreds of thousands of people are very happy to have something that big. Finally, it's an initiative involving Cobra, who aren't inflatable manufacturers AFAIK. PS - looking at one SUP industry report from 2016 says that rigid SUPS were more popular in many countries. The report also echoed what Bruce Wylie and others have been saying; "in the past,... watersports such as windsurfing ultimately suffered a strong decline, mainly because of products destined for an elite user.....As we've heard from the participating brands, the ongoing trend is to keep boards highly accessible to entry-level consumers......After more than 10 years as an industry, we can safely say that SUP is out if its infancy stage. Let's hope lessons have been learnt from past industries that rushed into extremes with lack of foresight and little to show for it." some great shots getting around the internet of the LT in action. not bad for a sup. Thanks for helping out on working out how many to order by placing your deposits. We have now orders for 123 boards. The June shipment is sold out, in fact over ordered. I have just had an extra 28 confirmed by Cobra these will be ready to ship in early July and be here mid to late August, so with the usual last minute delays September 1st is a virtual guarantee. I can't add further to this order as the container is full. We have sold 20 of the extra 28 boards in the past few days and only have 8 left for September so be quick or wait until late October delivery. We will be carrying stock but the problem will be if demand exceeds our ordering. The order date is June 14th for a late October / early November delivery. Email to me at wwindgen@bigpond.net.au for more details. Thanks for those who responded for my call for their deposits. There are a few not yet forth coming do it now or get bumped from a September to late October delivery. So get on to it. As the shipment arrives we will contact you to work out the shipping details. We will also require the balance to be paid before delivery. At this point you can also add sail colour preference, rigs, board bags etc if you have not already done so. Those numbers are just Australia ! Probably more Windsurfer LTs sold here in one year than RSX or Techno. Indeed how many RSX and/or Techno have been sold since those classes were created, globally ? and in Australia ? These figures would be interesting. I think Windsurfer LT may now be the best selling windsurfer for 2018 in Australia...! Hopefully more kids wil get involved and those that Have a talent will go on . RichardG the numbers are not comparable globally, Techno has over 10000 active sailors. Here in Australia we have maybe 30 or so and that number is up from maybe 6 or 7 a couple of years ago. Techno has the problem of needing a constant crop of new kids, its a youth class, they out grow it. All those new LT's being sold are most likely going to guys that are updating. I would expect it would be difficult to repeat the sales number next year. that aside it great the class is excited, hopefully they don't just sit in garages and actually make in onto a course. Yeah I didn't think they would be comparable globally since Australia is a small market for pretty much everything. It shows however the Windsurfer LT is a best seller in Australia, unless I am missing something. I haven't owned a "Windsurfer" sailboard ("original" to be clear) since 1982. It is therefore going to be great to get one again (in September) and I hope we will have racing fleets around courses on the Swan River again via yacht clubs. Formula used to estimate 1000 per year years ago, but now say "not known". Raceboard claimed 1000+ in 2007 and 3000 the previous 5 years but now say "not known". RX One, Funboard, etc take the Fifth. Techno no longer says; it was 1200 per year in 2007. They have an agreement to keep things confidential, as do Hobie. 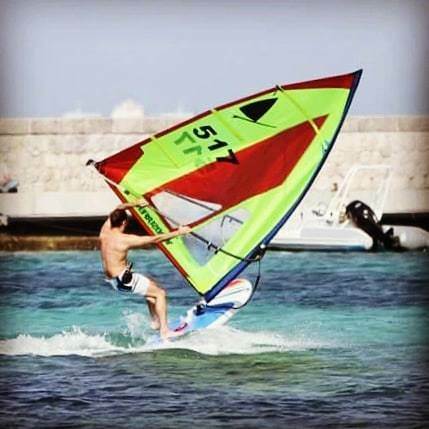 The Techno is probably the only windsurfer class that can really claim to be big worldwide these days, when compared to the number of dinghies that are around. The Windsurfer One Design is quite big in Italy and Australia in terms of national title attendance; it's often in the top 1/4 or 1/3 of all sailing classes here I think. The T293 is doing well which is great, but 10,000 active sailors? The income the IWA reports is only about 2.5 times that of the Raceboards, and about double that of the RSX class which doesn't have too many. Also given the rate of production they reported earlier, it looks as though almost every T293 would still have to be active to get that many sailors afloat. It's a great class though, and as noted seems to be the only really big windsurfer class these days. Techno 293 OD is the single biggest windsurf class with 10 000 young riders sailing somewhere in the world. Tens of thousands of young sailors are racing or have raced on this board. Techno 293 OD was recognized by World Sailing as a class in its own right in 2006. Since then it has seen phenomenal growth in more than 55 countries and on all 6 continents. We had 4 race at mounts bay last weekend,(including past national champ) hoping to have more racing when the season starts in Oct.
Where does the IWA derive the revenue from, World Championships of course but where else. 450ish at the last techno worlds is probably about 2.5 times the Raceboards income for IWA income given entry fees are mostly lower for youth. But the World Championship doesn't represent the entire class. It's interesting how broad our sport is. There was a fellow on here (you may remember) spruiking the future. That future involved a complex dual layer wingsail. I don't think we were sold on it and I don't know how many were actually purchased. Now the windsurfer LT is taking us back to 1983, which is when I started. AND, it does seem to have people sold! Maybe for many simplicity is more important than overcomplexity. As well as price and the "one design"/racing opportunities. Of these numbers, only 16 Have taken one from Queensland, including Peter and I (who already have one). That's only 9 in SE Queensland, and 7 further north. I wish we had the same involvement up here. Can it happen? I can't see RQ adding them with all their BIC's, or would they? I'd love to see groups of them on the water having fun, and some regular fun race's. Maybe the small group of us that intend doing this occasionally will grow. Finger's crossed. What's involved there mate? Is there a membership required, and how much? There are many different levels of membership at the club and you can also enter on a casual basis for a limited number of times. I pm'd you the basic racing membership and race fees structure. A membership and full season of 50 or more races will cost you less than one regatta away from home. I don't think the new Wally would fit into RQ training fleet. Great assessment Jeff, that's why I love my 11'6 BIC it doesn't do anything perfect but is built like a wheelie bin. Does anyone do windSUP class racing? Yeah mate, Dave on Bribie at the Hire Place near the canal at Bongaree. Yeah Jeff i'm with ya on the durability thing. I was mainly referring to getting people having fun racing them. Not enough going on in Queensland. cammd has sent me all the details. Why is the Bic supposedly so much stronger?